This range of non-concussive taps is designed for use with our thermostatic mixing valves. When operated manually, the tap functions for a period of time and then closes automatically. 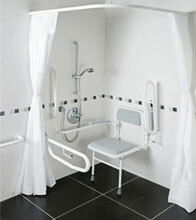 This operation makes the tap ideal for use in unsupervised areas such as sports changing rooms and washrooms. It is also perfect for use as a water economy device. They are available in wall and basin mounted versions.